Like Uber but instead of needing to go somewhere, you want to eat lunch? UberFresh is perfect for you. Oh wait, do you also live in Santa Monica, CA? Because then it's actually perfect for you. 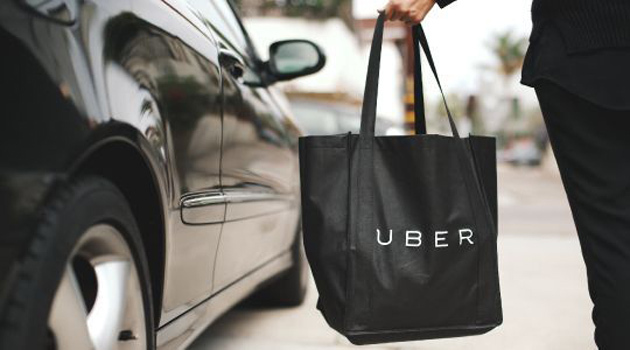 The service starts today, and, as advertised, you'll swipe to the "UberFresh" section of your Uber app and a driver will bring you lunch. No, you don't get in the car and go somewhere; think of it like app-based food delivery. For the service's initial launch, your lunch options are limited to a single item per day (there's a menu on Uber's site right here). Admittedly, the options for the first week look pretty delicious, and the Yelp rankings for each restaurant back up Uber's choices as at least somewhat legit. There's no update to download; you just have to live in Santa Monica and open up Uber. Head below the break for full instructions, care of Uber. This is hardly Uber's first foray into food. The company annually sponsors an ice cream truck day, wherein ice cream trucks are dispatched to a wide variety of locales (144 cities this year), on-demand. Today's addition of UberFresh is far more substantial, with a handful of restaurant collaborations and a test market in Santa Monica. Uber repeatedly calls it a test, and even has a definitive start and stop time for its run ("from Tuesday August 26th until Friday September 5th with the possibility of an extension; closed weekends and on Labor Day"). "Typical food delivery takes 45 minutes – 1 hour. uberFRESH delivers you healthy, fresh food in about 10 minutes. Rather than standing in long restaurant lines, trying to find parking at your favorite restaurant, or dealing with unpredictable delivery times, uberFRESH brings you a great lunch on-demand with none of the hassle." The only rub is that drivers currently will not bring the food inside; it's all "curbside" delivery. Here's hoping there's not a lot of rain in Santa Monica's near future. For that tradeoff, though, there's the standard no tipping policy and ease of use that comes with Uber. It's an interesting experiment for sure, and one that'll need to grow tremendously before reaching larger markets.